A comfortable sleep and ideal protection from rocky, wet, or sloping terrain as well as from insects and small reptiles. Made of high grade parachute nylon fabric, the elasticity adjusts perfectly to your body. 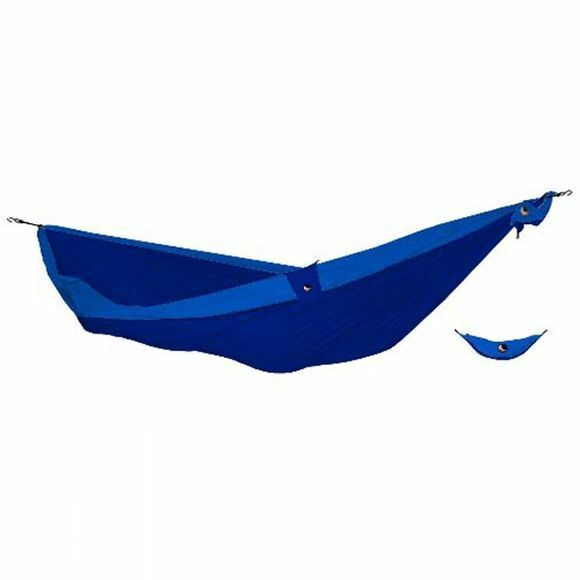 The signature range of Ticket To The Moon hammocks is also durable, breathable, anti-mildew, skin-friendly, rot-resistant and quick to dry (machine washable 30°C).